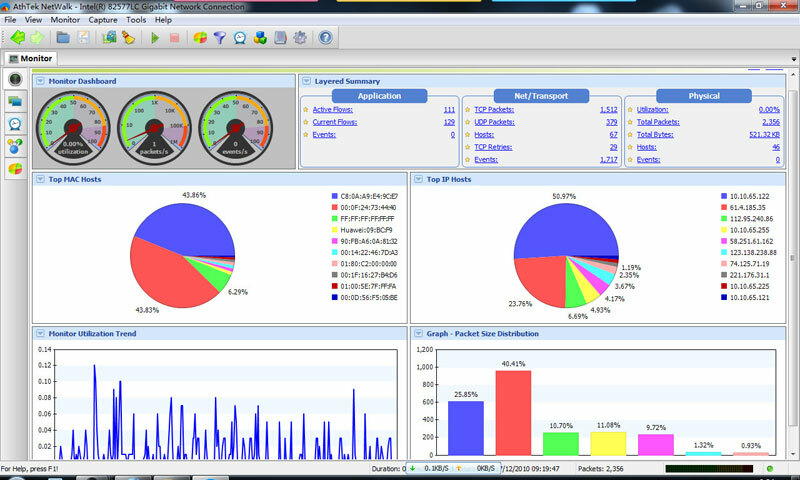 In one word, AthTek NetWalk is the best choice for network monitoring and packet sniffing. You don't need to spend a lot of money on network monitoring service or popular packet sniffers, AthTek NetWalk can help you to achieve better performance with affordable price. * support area chart for bandwidth statistcs; * support to monitor subnets/clients performance.